“Reminiscences of a Stock Operator” by Edwin Lefevre recounts Jesse Livermore’s legendary trading career with its dramatic turns. It is a book about the life of a great trader, written from a first-person narrative of Edwin Lefevre. Jesse Livermore did not trade with charts. He read prices printed on tape. He was a tape reader who focused on price action. Jesse Livermore might not be a star fund manager, having gone broke several times. But his intuition and market perspectives offer great insights for any aspiring professional trader. In Alan Greenspan’s “The Age of Turbulence: Adventures in a New World”, he mentioned the “Reminiscences of a Stock Operator” as a “font of investing wisdom”. All in all, this book is a classic because of its trading wisdom. If you read it looking for exact trading methods, prepare for disappointment. Nonetheless, there are practical price action trading tips we can distill from this book on the legendary stock operator. I think it was a long step forward in my trading education when I realized at last that when old Mr. Partridge kept on telling the other customers, “Well, you know this is a bull market!” he really meant to tell them that the big money was not in the individual fluctuations but in the main movements that is, not in reading the tape but in sizing up the entire market and its trend. In summary, the money is in tracking the entire market and its trend. Starting our analysis with broad markets. For instance, if you trade stocks, find out the trend of the stock market index before looking at individual stocks. Examining the market trend with trend lines and support and resistance. I began to realize that the big money must necessarily be in the big swing. Look out for the next big swing instead of getting obsessed with small fluctuations. Finding long trading setups when the next resistance area is far away, and short setups when the next support area is far away. Letting our profits run. If we are trading large swings, our exit strategy must allow it. If we exit with a small profit each time, we are unable to reap the profits of large swings. Was I fundamentally wrong in being bearish or merely temporarily wrong in having begun to sell short too soon? There are two types of “wrong trades”. We can be wrong about the trend or the timing. Recognising the difference between getting the trend wrong and getting the timing wrong (whipsaw). Using price action patterns (bar patterns and candlestick patterns) to time our trades. Placing a pattern stop-loss order. A pattern stop-loss order is just below a bullish pattern or just above a bearish pattern. Nobody can catch all the fluctuations. In analysing the market, price action traders use fewer or no indicators. Thus, they tend focus on every price tick, every price bar, and every market swing. New price action traders might mistake this constant analysis of price as a technique to catch every price swing in the market. Regardless of your trading style, trying to profit from every market swing is not only exhausting, but also impossible. It results in overtrading which usually leads to a plunge in your trading capital. Understanding that even the best traders like Livermore do not catch all market swings. Having clear trading rules for entry. Limiting the number of trades within a given period. Day traders who overtrade should try taking one good trade a day. Obviously the thing to do was to be bullish in a bull market and bearish in a bear market. Using tools like longer-term moving averages and trend lines drawn with major swing pivots to highlight the current state of the market. 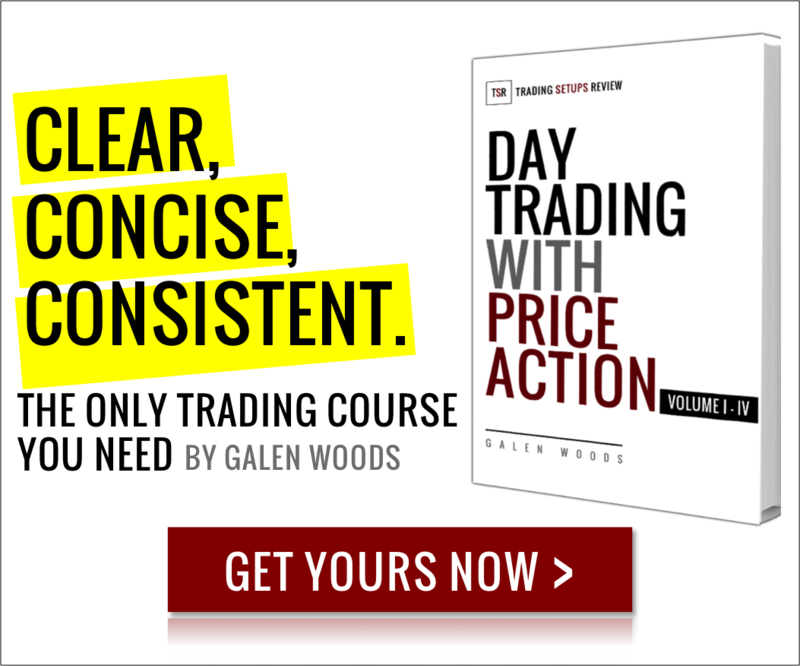 These five price action trading tips are snapshots of the value you can derive from studying Jesse Livermore. As you are the master of your trading strategy and style, reading the book will give you further great ideas to improve your personal trading. For books that spend less time narrating Jesse Livermore’s life and more on his trading techniques, take a look at these two books.